Every day, new people are “waking up” and realizing just how fragile our civilization is. Perhaps you are one of them. There’s no need to panic. Yes, a disaster could occur at any moment, but in all likelihood, there is still time to prepare. If you try to do it all at once, you’re liable to get overwhelmed and give up. Instead, spend a little time working on your survival plans every day. The time will add up fast. Here are 30 survival tips to get you started. A financial crisis is one of the most likely disasters we face in the coming years. If the economy enters a deflationary downward spiral like it did during the Great Depression, having a lot of debt will put you in a terrible position. We may also have hyperinflation, and some preppers are taking on massive debt with the assumption that their debt will be wiped out, but please don’t do this. There’s no way of knowing for sure what will happen, and it’s not worth the risk. Before you get out of debt, save $1000. Once you are out of debt, save at least another 3 months worth of income. I know this is easier said than done. Doing this could take years, but there’s no reason not to get started right away. To help you out, here’s how you can lower your monthly bills. I know this site is all about surviving in the city, but there are certain disasters that could force you to relocate. 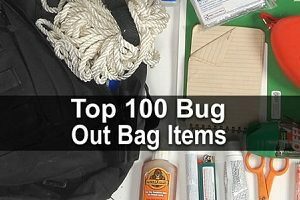 Just in case that happens, you should make a bug out bag. No one can go more than 3 days without water so this should be a top priority. If you haven’t started storing water, take a look at this article. There’s always a chance the next disaster could last longer than your food cache. In this case, gardening could be a very valuable skill. Even if you don’t have enough space to grow a lot of food, you can still trade this skill with people who can help you in other ways. Check out the hacks for new gardeners. I’m talking about birth certificates, the deed to your house, your driver’s license, your marriage license, insurance policies, passports, social security cards, vehicle titles, and any other important documents. Make copies, put them in water-proof freezer bags, and keep them with your emergency supplies. Better yet, make a grab-and-go binder. A first aid kit won’t do you much good if you don’t know how to use it. Try taking a class. They don’t cost much, and it could mean the difference between life and death. You probably won’t be able to learn everything you need to know before the next disaster strikes. And if the power is out or the Internet is down, you won’t be able to Google whatever you need to know, so buy some books or print important articles and put them in a three-ring binder. Figure out what is most likely to happen based on where you live. For example, I live on the gulf coast so hurricanes are a major concern. What sort of natural disasters might happen where you live? Are there any train tracks where dangerous chemicals are transported? Is there a prison nearby from which inmates could escape? 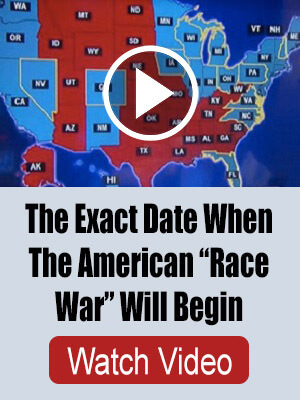 Prepare accordingly. If you have no choice but to evacuate, you need to know exactly where to meet your loved ones and which way you’re going to take out of town. Get several maps and mark the routes that are least likely to be crowded. You should also plan a way to get home during a disaster. Yes, you’ll have to stop at the gas station more frequently, but if that bothers you, just think about how much you’ll regret it if the gas stations are tapped and you’re running on empty. Also known as a survival stress test. The more you do this, the less likely you and your loved ones are to panic when there’s a real disaster. Try to make it fun. Imagine a different type of disaster each time. You’ll fare much better if everyone knows exactly what to do. Every time you go grocery shopping, grab some extras. Just make sure they’re things that will store well and that you will eat, disaster or no. If you do this weekly your food supplies will add up fast. Just don’t make these food storage mistakes. You don’t have to become best buddies with them, but there is a huge psychological difference between acquaintance and total stranger. If you’ve visited with your neighbors at least a few times, they’re far more likely to help you and far less likely to attack you. It’s amazing the kind of deals you can find if you just look. I’m not just talking about flea markets. You can find some great stuff on Craigslist. If you’re on Facebook, try joining some local yard sale groups. My wife has found a lot of good deals that way. Anyone who knows about your survival supplies will think of you first when the SHTF. They might leave you alone at first, but if they get hungry enough they will turn into animals. Here’s what to do if they find out anyway. You don’t need to be able to run a marathon, but you need to at least be able to walk long distances and carry heavy objects around without getting totally wiped out. Here are some basic tips for getting in shape. There are several ways to do this, and I encourage you to practice lots of them so you won’t have to refer to books when the time comes. If you’re at work 40 hours a week, there’s a 24% chance the next major disaster will happen while you’re there. It’s even higher if you count time spent on the road or time you spend out during the evenings and weekends. Put together a bug out bag ASAP. Even if you do all your reading on a Kindle or tablet, gather some paperbacks. You can get them for pennies nowadays. Also get some cards, crossword puzzles, games that don’t require batteries, Sudoku books, etc. This might not seem important now, but during TEOTWAWKI, it will be critical for everyone’s sanity. Cold is just as, if not more, deadly than heat. Make sure you have extra blankets, coats, sweaters, thermal underwear, and other winter survival items. You don’t want to know how much food I had to throw away after my first year of prepping. I panicked a bought several things that ended up untouched in the back of the closet. By the time I got them out, they had already passed the expiration date. Don’t make the same mistake I did. Survivalism 101: Store what you eat, eat what you store. Having a case of Spam in the closet might give you some peace of mind, but when you actually have to eat it you’re going to wish you’d bought something you like. Before you buy food storage over the Internet, request some samples. And before you buy cases of food at Costco, get a single box or can at the grocery store and try it out. Not only is this really fun, but you’ll get a chance to practice some of your survival skills. You can’t have a tool belt, much less a toolbox, slowing you down during a disaster, so find a good multipurpose tool you can keep on you at all times. Also look for other types of multipurpose devices such as a flashlight with a built-in radio. Even if you already know how to hunt and fish, make sure you know how to clean and butcher all sorts of animals. We’re all so spoiled by the fact that we can throw anything in the trash and a truck will come along every week to take it away. Learn to start reusing items such as plastic bottles, glass jars, and newspapers. Here are a few ideas. Many people are so reliant on their microwaves and stoves that they have no idea how to cook a meal without them. Of course, there’s always the grill, but the smell could attract hungry looters, and what if you run out of charcoal or propane? 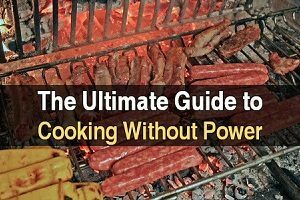 Check out my ultimate guide to cooking without power. Often when people become aware of just how fragile our civilization is, they tend to panic. Don’t do it. Panic will cause you to make rash decisions or to feel overwhelmed and give up. Will the next major disaster be tomorrow? No, probably not. Will there be a major disaster in your area in the next few years? It’s very possible. The point is, you should have a healthy sense of urgency, but don’t feel like you’re already out of time. Keep living your life and work on your preps a little bit every day. That should be enough. Learn CPR adult and child and learn basic first aid. Have a well stocked first aid kit. Look at a nurses first aid kit, you may not use or even know how to use much of it but the retired nurse down the street, or paramedic or EMT will. 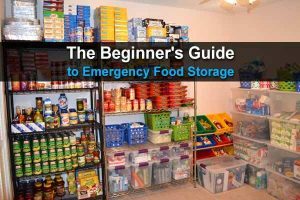 Normally they will be gone during a disaster, but if they can’t get out of the neighborhood they are your best bet, they will quickly deplete their supplies so have some for your family and know how to properly store it. Take renewal classes at least every other year. 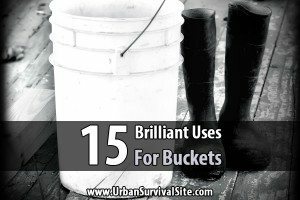 Do you have tips for creating survival gear? Rotate your food, good point, but the expiration date on most canned food is a gov’t mandated date and not a true indicator of the canned food’s actual worthlessness. Most canned food will be good long after the expiration date passes. If you have “expired” cans, inspect them for bulging or leaking. Toss them is you find any. Otherwise, chances are they are still ok. I have eaten canned food 2 years expired without issue.